It is said that rosewater was added to the mixture when the city called Assuva during the Hittite period and Parhasus during classical periods and Gulsehri (City of Rose) during Seljuk period was founded. Kirsehir, having an appearance of a high plateau is poor in terms of forests and shows steppe characteristics. Kirsehir, located on a busy road since ancient ages, is surrounded by Nevsehir and Yozgat on the east, by Aksaray and Nevsehir on the south, by Ankara on the west and by Kirikkale and Yozgat provinces on the north. It is understood from the excavations carried out in the neighborhood of the city which is at a distance of 90 km to Nevsehir Airport that there used to be a settlement in 3000-2000 BC here. It was under the control of Phrygians, Persians, Hellenistic Civilizations, Cappadocia Kingdom, Romans, Byzantine, Seljuk, Mengucekogullari clan, Ertena Tribe, Karamanogullari clan and the Ottoman Empire after the periods of Assyrian Trade Colonies and the Hittite Empire in 2000’s BC. Kirsehir became a province in 1924 after the declaration of the Republic. Ahilik (Organization of Akhi) which was a trade organization based on honesty, respect and helping each other and established in Kirsehir in the 13th century lead trade and economy of Anatolia for centuries. The towns of Kirsehir are Akcakent, Akpinar, Boztepe, Cicekdagi, Kaman and Mucur. Works over 3300 such as findings discovered in Kaman-Kale Tumulus and Malkaya and documents concerning Ahilik and ethnographic works are displayed in the museum in the centrum. Cacabey (Theological School) Mosque and Lodge in the centrum of the province is a Seljuk construction dating back to 1272. The minaret made of bricks decorated with blue porcelains on the back of the construction with two porches and a roofed yard which used to be an astronomy school during Seljuk period and which was changed into a mosque later on was used as a watchtower. The two pillar arrangements formed by overlapping conical and spherical shapes in the main porch has no counterpart in Anatolia. There are muqarnas-corpel and two-colored high portal in the middle of the facade and towers in the corners and lodges made of cut-stones in the left part. The gate of the polygon pyramid whose interior is covered with a dome is embellished with white ceramics and writings. The lodge whose stone working at the edges of the windows draw attention is ascended through stairs by going through a section inside the mosque. Another Seljuk mosque is Alaeddin Mosque constructed in 1242 and a great part of which was repaired in 1893 and located in the midst of the city. 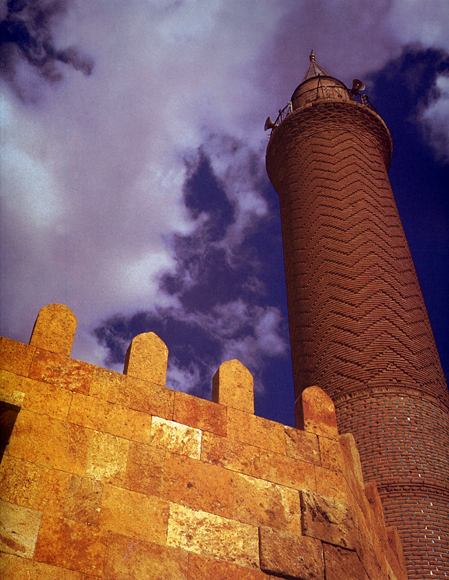 The mosque having a single-balcony minaret used as the warehouse of Kirsehir today is made of cut-stones. The mosque and lodge built in the centrum on behalf of Ahi Evran, the founder of the organization Ahilik, dates back to 1482. The construction with a single minaret and made of cut-stone in a small lodge plan is three-domed on a square area. The lodge is on the right of the construction. Lala (Lale [Tulip]) Mosque thought to be built as a caravanserai or as a mint because of its architectural style dating back to the 13th century is covered with three domes carried by cut-stone arches on pillars. 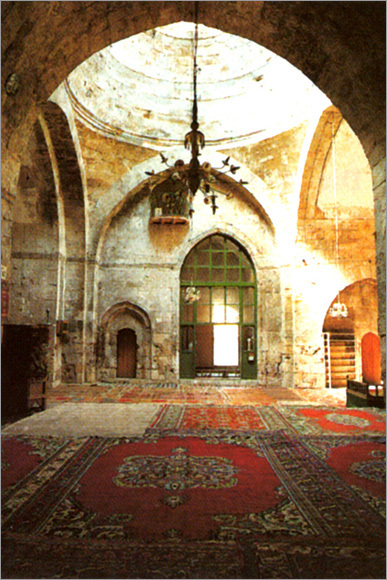 Kapucu Mosque made to be built by Kapucu Mehmet Bey is an Ottoman construction. The square-planned building is covered with domes ascending on an octagon pulley and has a final community with three sections. Carsi Mosque in the centrum was built in 1864 without a minaret and as a small mosque. The top part of the square-planned construction is covered with a roof called “swallow roof” built by the technique of imbrications of trees. The Lodge Asikpasha, a sufistic folk poet who wrote in pure Turkish in the 13th century, which was one of the places to be visited in the city dates back to 1322 and was a work of Ertena Tribe. The square-planned lodge completely made of white marbles has an asymmetrical facade and is covered with a dome having an impression of a tent. It differs from traditional Seljuk lodge architecture in terms of half-facade arrangement and plan in that there is a monumental entrance on the side facade. There are eight sarcophaguses including that of Sheik Suleyman Turkmani, the instructor of Asik Pasha, in the Suleyman Turkmani Lodge located on the east of the city. Another lodge in Kirsehir is Muhterem Hatun Lodge where there is a marble sarcophagus in the style of Seljuk architecture. Except for these, Melik Gazi Cupola dating back to the 13th century and located in the centrum is covered with octagon frames and cylindrical, conical cone on a square plate whose corners were smoothened. It was enabled to pass to conical cones through triangles overhanging from the top edge like the fringes of a tent cloth. 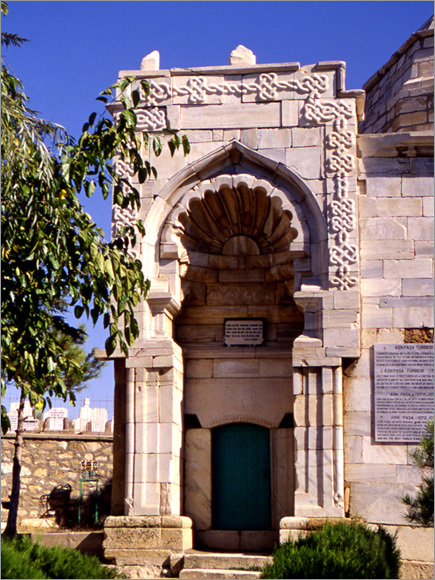 The marble gate of the lodge has muqarnas niches and rich adornments. Kalendar Baba Cupola nearby Karakurt Thermal Spring was built during the reign of Kilicarslan in Seljuk Period. There is a small and lower mosque which is square planned and covered with a dome next to the copula made of cut-stones and Seljuk architectural qualities. Fatma Hatun Cupola dating back to 1287 has an octagon frame on a square plate whose corners are smoothened. The covering system of the construction made of cut-stone is bricked in the interior part and octagon conical coned in the outer part. As in many cities, there is a lodge in the name of the sufist Turkish poet, Yunus Emre. The lodge situated at a hill in the small town Ulupinar is square-planned and conical-coned. Kesikkopru Caravanserai located by the bank of Kizilirmak in the village Kesikkopru and called Cacabey Inn and the bridge nearby the caravanserai was made to be built by Caca Bey in 1268. Two lion figures as relief works below the portal niche arch made of two-colored stones and on the facades of the inn spread over an area of 1000 square meters and a bull head with two snakes on a left sided window outside draw attention. The stone altar of the mosque on the left of the entrance porch has rich embellishments. The churches in the village Derefakili in the town Akcakent and in the villages Aflak and Aksakli in the town Mucur are considered among the first religious constructions of Christianity. There is also Ucayak Church made of bricks dating back to the Byzantine period and on 37 km north of Kirsehir and nearby Taburoglu Village. Moreover, Byzantine church is situated on the north of the small town Temirli under the town Kaman. There is a “Monk Palace and House” composed of 20-30 rooms and built on rocks made of volcanic tuffs dating back to Byzantine period on the east of Mucur. 20 houses and 10 rooms in each house are dented into rocks called “Monastery” on the south of Mucur. City remains belonging to the Hittite Empire were discovered in Hastumulus (Has Tumulus) at a distance of 40 km to Kirsehir. There was a settlement in Kale Tumulus in the small town Cagirkan under the town Kaman since 3000 BC. 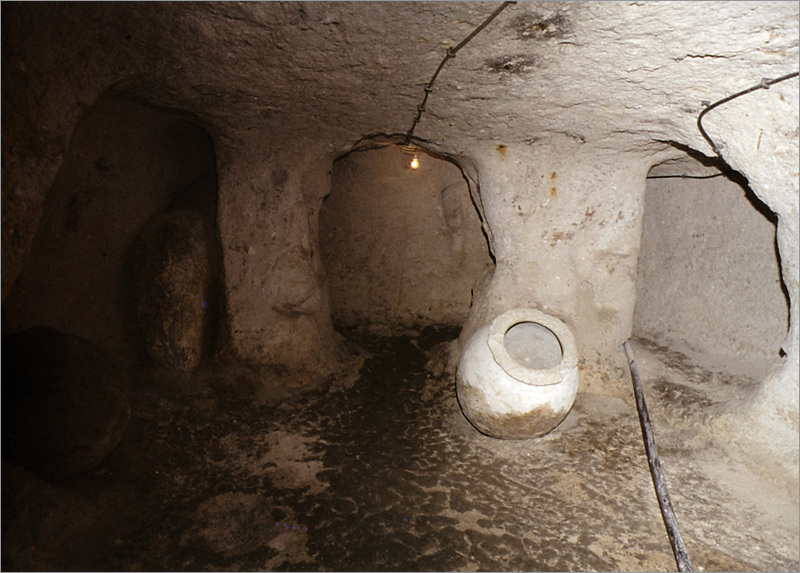 50 rooms, labyrinths, places to worship, secret paths, passages, barns and air conditioning chimneys are seen in the Underground City at a depth of 7-8 meters founded in the 3rd and 4th centuries in Mucur. The only gate of the city formed as a result of working on soft rocks and used as a shelter during wartime and raids in Byzantine and Roman periods is on the north. The Underground City in Dulkadirli, Inli, Murat Villages and at a distance of 58 km to the centrum dates back to the 4th and 5th centuries. The underground city which has two-floors and a solid structure dented in a shape of a long corridor and rooms overlooking the corridor has seven gates. There is a water well and stairs to reach the well in the middle of the second room in the second saloon. In the subdistrict Kumbetalti, an underground city composed of three main sections and 10 rooms opening to these sections was discovered. It is thought that Kus Castle nearby Kaman dates back to the Hittite Empire and used during the Byzantium period. Keci Castle in the village Kizilca was built during Byzantium period. The thickness of the walls of the castle is 2-3 meters. Other tumuli in Kirsehir are Golhisar Tumulus in the subdistrict Golhisar, Sevdigin Tumulus on the road to Karakurt Thermal Spring, Oksuzkale Tumulus in the village Hatunoglu, Ciftci Tumulus, Ikiz Tumulus, Tumuluse Tumulus, Kultumulus and Maloren Tumuli in the village Camala, Seyfe Tumulus in the town Mucur, Tuzla Tumulus, Altumulus, Boz Tumulus, Garipler Tumulus, Kultumulus, Heyik Tumulus, Kizilgobek Tumulus, Kizlar Tumulus, Seyh Hamza Tumulus nearby Tepesi Delik Salina, Kosele Tumulus, Kucuk Tumulus and Sari Tumulus in the town Cicekdag. Lake Seyfe in the town Mucur at a distance of 30 km to Kirsehir is a crucial well-watered marshy place where 187 bird species live on the islets formed by sedges on the lake. One of the largest flamingo groups live on the shallow and salty lake. The water level falls to 60-70 cm in summer season because of rare rains, high evaporation and because of the fact that rivers nourishing the lake get dry in summer. The rich existence of birds on the lake, historical and cultural richness of the tumuli around the lake and its scenery offer a good opportunity for activities such as nature hikes and bicycle tours. Baran Mountain (1808), Cicek Mountain (1691), Aliollez Mountain (1528), Kervansaray Mountains (1679) and Lake Seyfe and its neighborhood are suitable places for nature hikes. Hirfanli Dam, a part of which is in the borders of Ankara, forms a big dam lake on Kizilirmak. 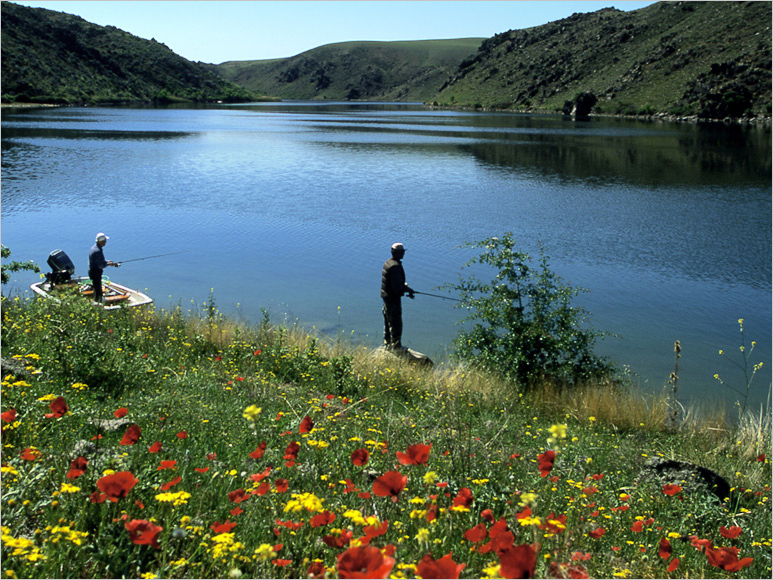 Cogun Dam Lake, Kesikkopru Dam Lake and Hirfanli Dam Lake are convenient for resting, having a picnic and sportive angling. There are picnic grounds arranged in Guzler and Cugun subjected to State Water Works and Poplar Groves and green ground in the town Mucur besides green plains such as Kindam, Okse, Ozbag, Ikizarasi, Karabacak. The Japanese Garden in the small town Kaman - Cagirkan is a place worth visiting with its artificial lakes and green grounds. It is said that the sulfurous water of the spring in the Avci Village at a distance of 15 km to the town Mucur is good for stomach diseases and digestion disorders. Terme Thermal Spring in the centrum of Kirsehir has two modern facilities. The curative water used for drinking and having a bath is at a 40 oC. Karakurt Thermal Spring in the village Karalar on 16 km west of Kirsehir was built by Seljuk Emperor Kilicarslan in 1135 in the name of Karakurt Baba (Father), one of the Seljuk rulers. The temperature of the water in which there is calcium sulfate and bicarbonate is 50 oC. Modern thermal facilities have been built as two blocks near the old buildings composed of health resorts, lodges and small mosques belonging to Seljuk period. 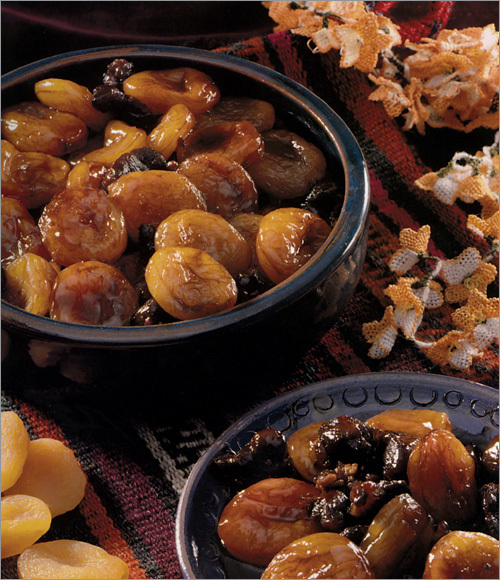 ‘Yufka’ bread, grape, pear and apple molasses are local dishes in addition to ‘sogurme’ made by the meat such as ‘cullama’ and chops’ made of chicken or turkey meat being cooked on smoulder. Rugs and carpets of the area and weavings and onyx marble products produced in 30 workshops are preferred by domestic and foreign tourists.